Erich Alfred Hartmann was known as “The Black Devil of the South” by his enemies due to his excellent and courageous record during his combat missions with the Luftwaffe. This should not be a surprise to anyone because of the high number of engagements he successfully won. 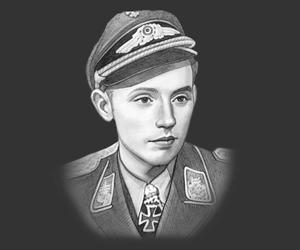 Erich Hartmann was born on April 19, 1922 in Weissach, Württemberg Germany to Doctor Alfred Erich Hartmann and German glider pilot Elisabeth Wilhelmine Machtholf. Due to the economic depression, his father had to find work in Changsa, China where he spent most of his childhood years. They were forced to go back to Germany during the Chinese Civil War. He went to different schools: Volksschule in Weil im Schönbuch from April 1928 to April 1932, Gymnasium in Böblingen from April 1932 to April 1936, National Political Institutes of Education in Rottweil from April 1936 to April 1937 and in the Gymnasium in Korntal from April 1937 to April 1940. 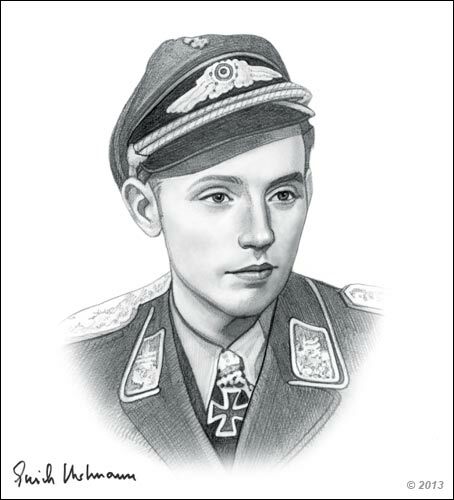 Erich Hartman was born to Doctor Alfred Erich Hartmann and one of the first female German glider pilot Elisabeth Wilhelmine Machtholf. He had a younger brother named Alfred, who joined the Luftwaffe during the World War II. On September 10, 1944, Hartmann married his long time girlfriend Ursula “Usch” Paetsch in the vacation resort for fighter pilots. In 1945, Erich Peter Hartmann was born but died 3 years later. Hartmann never saw the child because of his long imprisonment. On February 23, 1957, Ursula Isabel was born. Hartmann successfully flew 1,404 combat assignments during the World War 2 which resulted in 825 engagements and was never hit by enemy fire. There was never shot and wounded nor did he bail out because his aircraft has been damaged. His recorded kills include 200 single-engine fighters, 80 Bell P-39 Airacobras, 15 Ilyushin 11-2 ground-attack aircraft and 10 medium bombers. He later boosted of not having a wingman die during his leadership; although there was a time that his wingman was shot down but he successfully escaped from allied forces. He was mad at himself because of not following his gut instinct and still flying with an inexperienced wingman. Erich Hartman re-joined the post war Luftwaffe in 1956 as a Oberst and remained in service until 1970, his early retirement was partially a result of his strong conviction that the Luftwaffe should not acquire the Lockheed F-104 Starfighter, he was proved correct and the aircraft was to later become known as the "widow maker". Hartmann died on September 20, 1993 at Weil in Schönbuchat the age of 71. There was no information released on the specific cause of death. As to this date, no one has ever replaced Erich Hartmann’s record as the top scoring fighter ace not only during the World War II but in the whole history of aerial warfare. He took pride of not having lost a wingman, was never shot nor forced to land due to enemy fire. Today, many fighter pilots still look up to him and want to follow his footsteps especially on his leadership and aerial fighting skills. “Every day kill just one, rather than today five, tomorrow ten . . . that is enough for you. Then your nerves are calm and you can sleep well, you have your drink in the evening and the next morning you are fit again." This picture of Erich Hartmann is Copyright © airpowerworld.info 2013. We only allow this picture to be used for printed non-commercial purposes and particularly encourage it's use for printed educational non-commercial purposes. This Erich Hartmann picture is not in the Public Domain. 3) Use of this Erich Hartmann picture, or any of our pictures on websites re-distributing copyright free material is strictly prohibited.